Ad chopped garlic and stir it well. 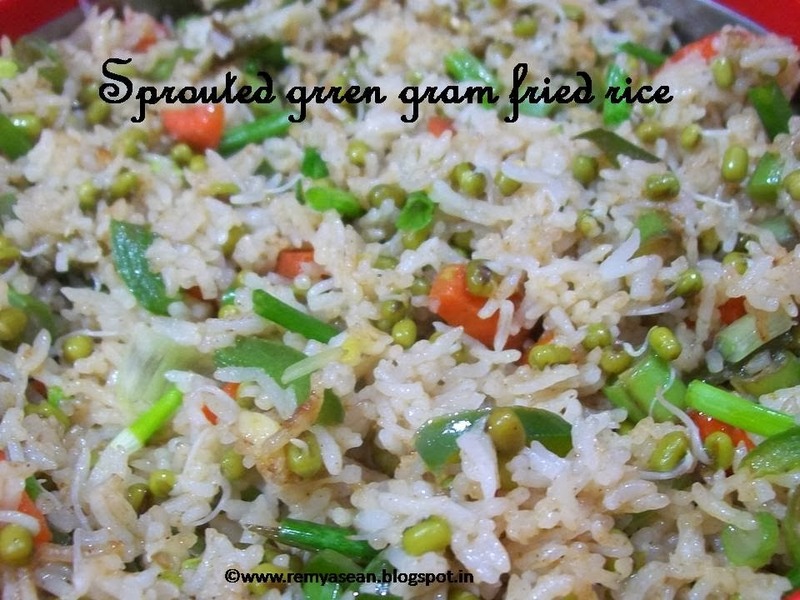 Add chopped carrots,Sprouted green gram,beans,cabbage,capsicum and spring onion in the same order.Stir it well. Add soya sauce and toss it. Add cooked rice and mix it well. Undoubtedly healthy recipe. 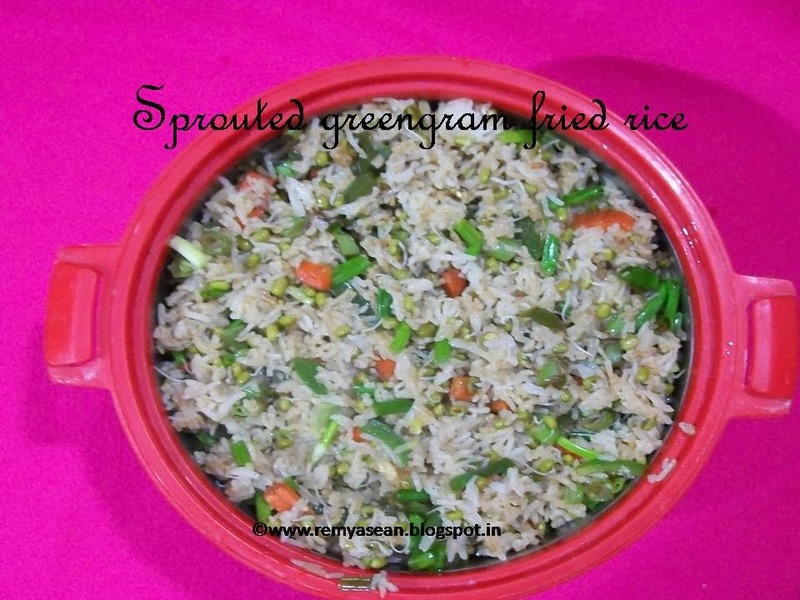 Remya Sean, can we also add little bit Ajinomoto in this recipe to enhance the flavor?